My husband learned to ski when he was 27, and I learned when I was 14. 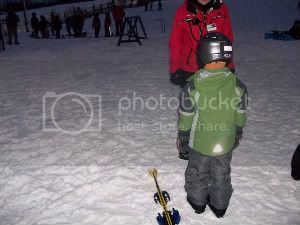 While we both enjoy skiing, we do wish that we had learned how to do it when we were much younger. I know this sounds crazy but there aren't very many places to ski in NYC or the Chicago suburbs were he and I respectively grew up. Sarcasm aside, skiing wasn't as big of a deal for either of us growing up as it seems to be out here in New England. Seeing as there are so many places to choose from to ski, it only makes sense. Armed with the knowledge that what you don't know not only sometimes can't hurt you, but can actually be good for you, we enrolled our 6 year old in ski lessons. At 6 he doesn't really get that he might break his arm, but at 16 or particularly 26 he will! So where does one go to do ski lessons? When I lived in Northern California, people would talk all the time about how they couldn't live anywhere else because it's so diverse in CA. Every time I heard that I cracked up because in actuality, Northern California is hardly very diverse at all. Oh, there are people of color there, plenty of them, but the diversity is either hispanic or Asian, and the rest of the world? So not represented. I never got why Californians kept insisting about how diverse they were when you couldn't find a Greek or Italian restaurant to save your life. Lots of Pho, but no souflaki.